Tja, dass Elvis lebt, wird ja immer mal wieder behauptet – aber dass auch Osama Bin Laden lebt, war mir neu. Umso überraschter war ich, als mir unser Reiseführer einen Herrn als Osama bin Laden vorstellte. „Unser berühmtester Mitbewohner“, meinte er stolz. Jetzt war ich wirklich ratlos. 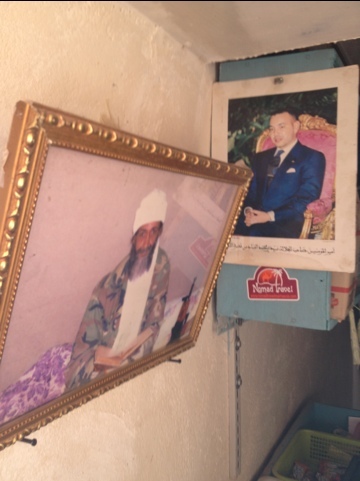 Na gut, der Mann trug Tarnhosen und hatte einen grauen Bart, aber, da war doch was…Aber der Reiseführer bestand darauf, den Laden von Osama zu besuchen, er betreibt in der Kashba von Quarzazate einen Kiosk für Getränke, Haushaltswaren und Tee. (Because of the sensitive topic I will translate this blogpost) It’s always stated that Elvis is still alive, but to learn that Osama Bin Laden still lives was news to me. 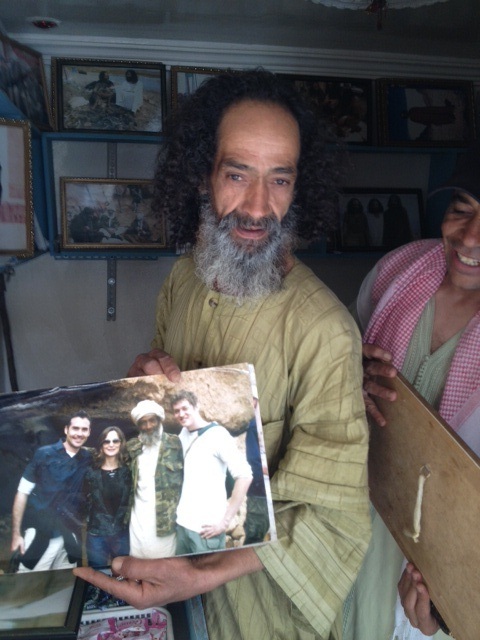 I was very surprised as our Guide in Quarzazate introduced a man to us as Osama Bin Laden. „Our most famous citizen“, he stated proudly. I was at a loss. 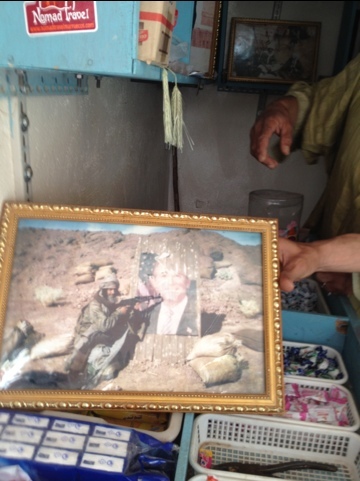 Well this guy wore combat trousers and had a grey beard, but…Our guide insisted to visit the shop Osama was owning, he sold beverages and tea leaves in the Kaszbah. But there was an explanation: the friendly vendor was the most famous extra and part time actor in town. Booked for many biblical movies and TV-productions (he was the disciples Thomas in the Zefirelli movie) and, because of his long grey beard, he was also discovered to play the most feared and sought after man in the world for many BBC- or American TV-documentaries. With turban and Kalashnikov he could be easily styled that way, the photos of his productions, proudly framed and displayed in his shop, prove it. 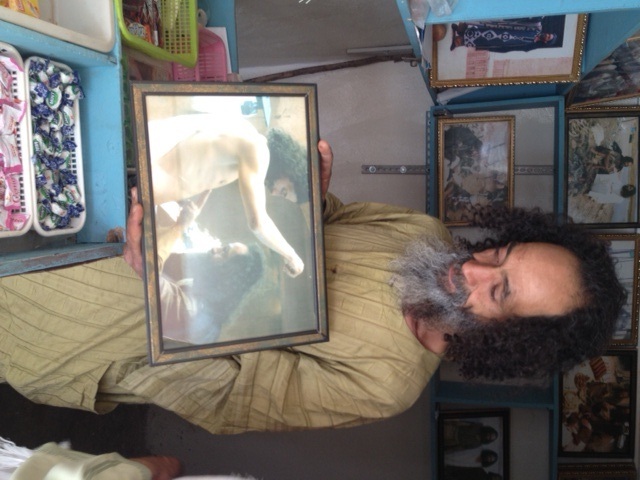 Right now, „Osama“ is working as Abraham in another Bible-documentary.